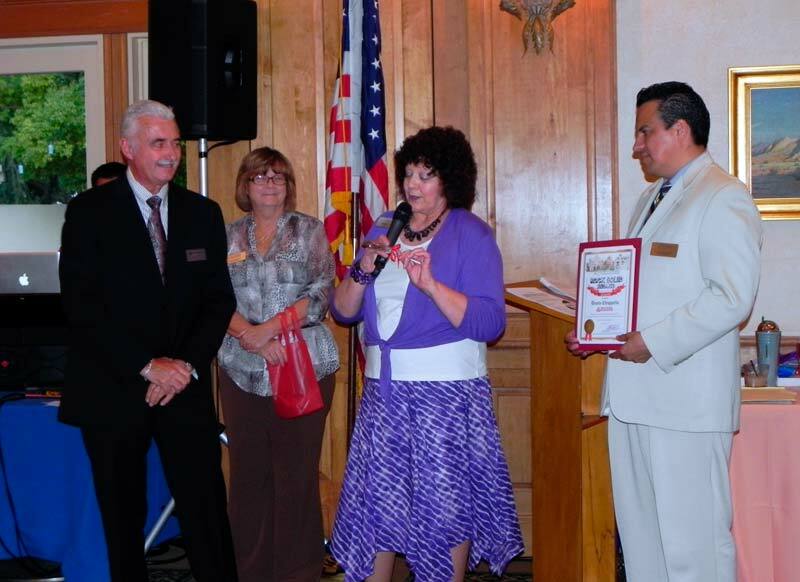 Irwindale presents 2016 Business of the Year to Athens Services was honored as the Joe DiShanni Business of the Year by the Irwindale Chamber of Commerce on January 29, 2016. 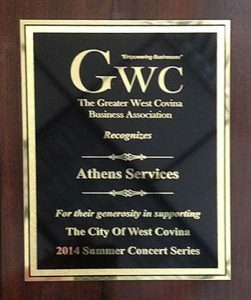 City of West Covina Honors Athens Services on October 2014 Athens Services was honored by the City of West Covina as a sponsor of The Greater West Covina Business Association 2014 Summer Concert Series. 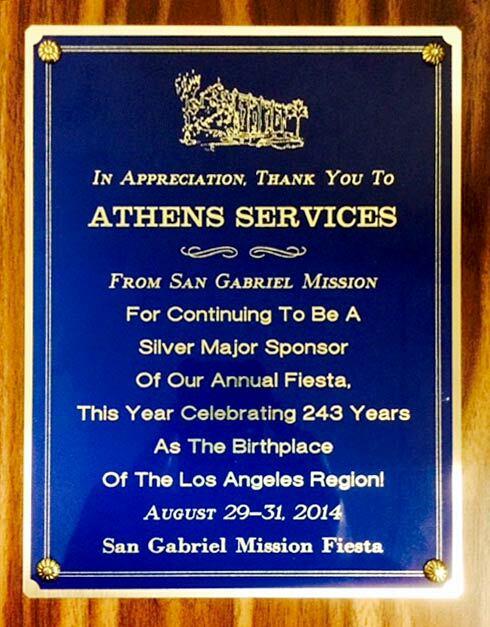 Athens Services Honored by San Gabriel July 2014 Athens Services was honored by San Gabriel Mission for their continued annual sponsorship of their Fiesta. 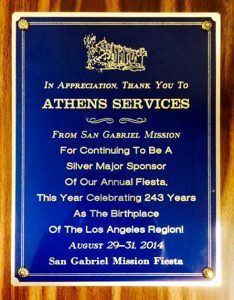 Athens Services honored as the “Always Going to Bat for the Community” by the Woman’s Division of the San Gabriel Chamber of Commerce at the Annual Installation Luncheon on June 19, 2014. 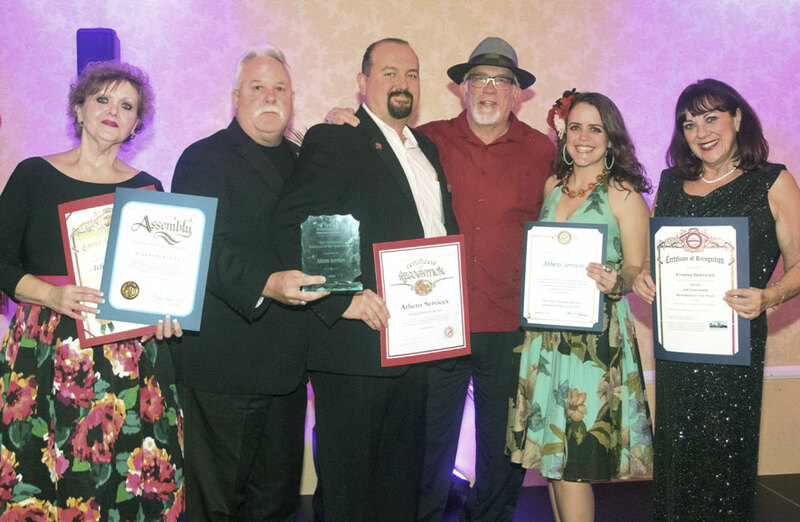 Community Star Award was presented to Mary McKenrick, Municipal Sales Manager for Athens Services, by the Woman’s Division of the San Gabriel Chamber of Commerce. 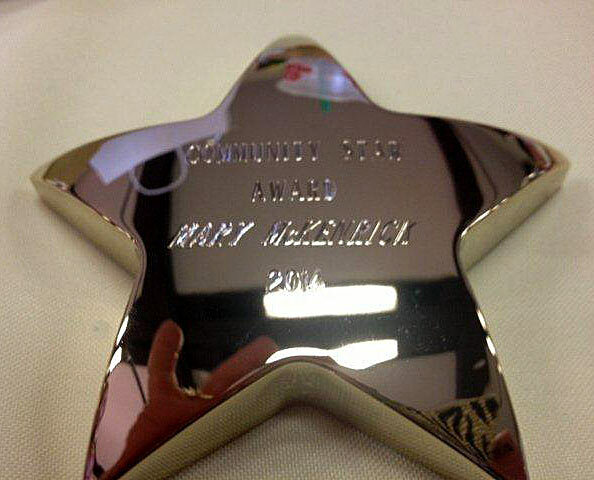 This award is to honor a member of the Woman’s Division for a body of volunteerism steady and faithful throughout the years, done with no thought of reward. The award Recognizes Extraordinary Women from the 24th Senate District in Salute to Women’s History Month is presented to Mary McKenrick, Honoree for Business. 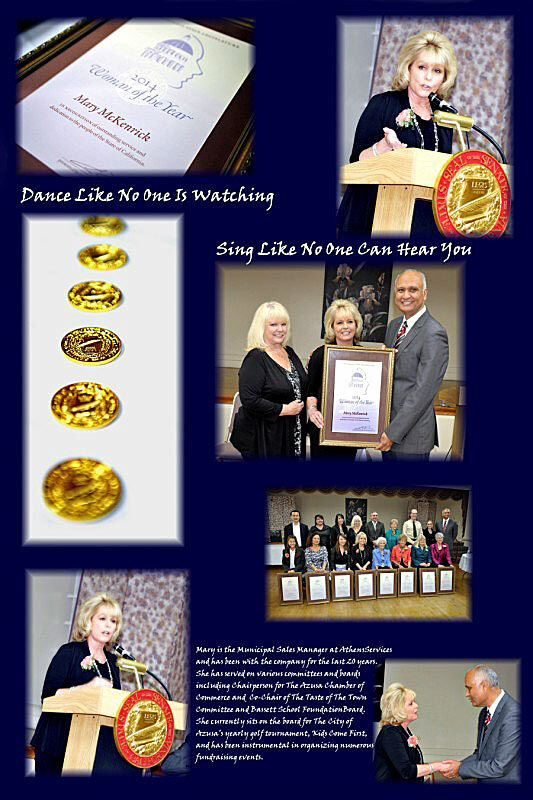 Mary McKenrick is the Municipal Sales Manager at Athens Services & has been with the company for the last 20 years. 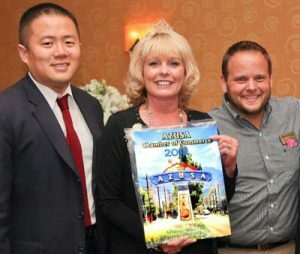 She has served on various committees and boards including Chairperson for the Azusa Chamber of Commerce & Co-Chair of the Taste of the Town Committee & the Bassett School Foundation Board. 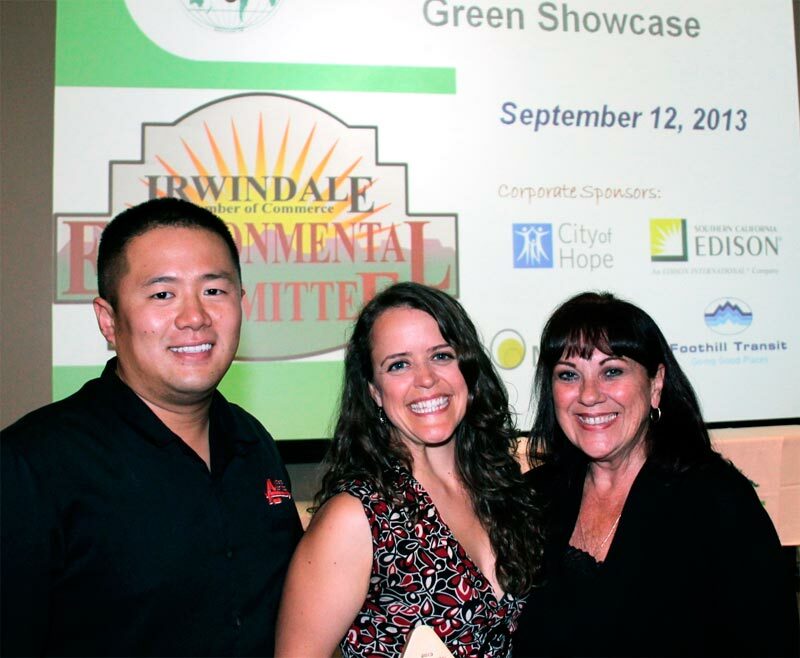 She currently sits on the board for The City of Azusa’s yearly golf tournament, Kids Come First, & has been instrumental in organizing fundraising events. 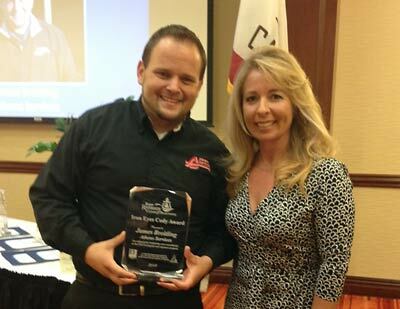 Athens Services Governmental Affairs Director, James Breitling was honored as the 2013 winner. The Iron Eyes Cody Award salutes an outstanding male volunteer for exceptional leadership in raising public awareness about litter prevention, roadside and community beautification, solid waste issues, and the need for citizens to participate in activities that preserve and enhance natural resources and public lands. 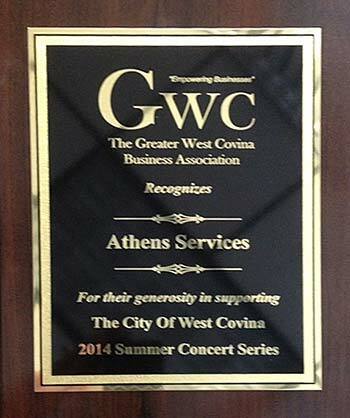 Athens Services was recognized as 2013 Winner of the Innovation Seed Award by SBBEC. 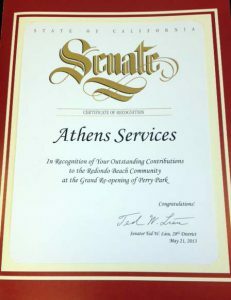 Serving a number of South Bay communities Athens Services practices a willingness to adopt out of the box problem solving. With a solid infrastructure for collecting and processing organic discards. 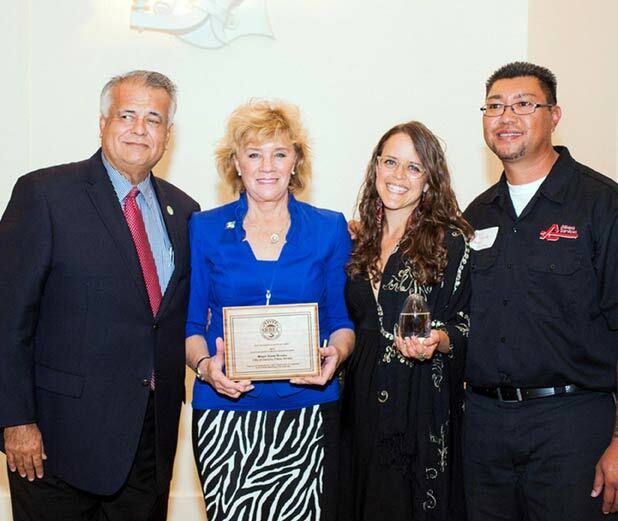 Athens Services turned a tragic situation in Redondo Beach into an environmental solution when masses of dead sardines washed-up at the King Harbor Marina. When other waste haulers were apprehensive in handling the dead fish, Athens Services took a proactive stance and transported a total of 175 tons of dead fish to their composting facility. 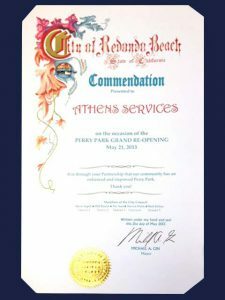 They closed-the-loop by returning the premium quality compost to the City of Redondo Beach for a Compost Giveaway to all South bay residents and businesses. In Addition, Athens Services implemented the first residential curbside food waste collection program in the South Bay for the City of Redondo Beach. 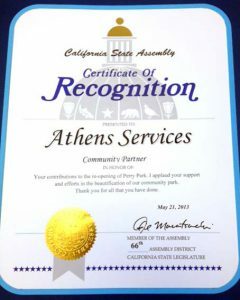 Athens Services has proactively made organics a priority. 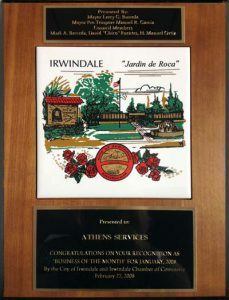 Irwindale’s Chamber of Commerce presented Athens Services with their Environmental Innovations Award. 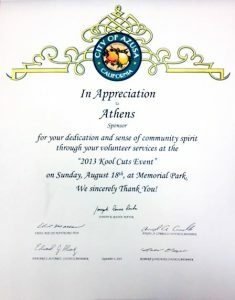 The City of Azusa presented an award in recognition of Athens Services’ contributions to “Cool Cuts for Kids”. 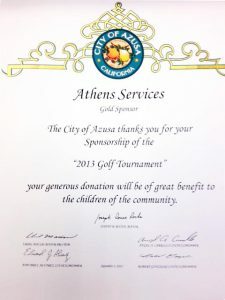 Athens recognized by Azusa City Council for their support of the first “Kids Come First Golf Tournament”. 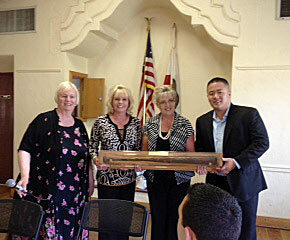 San Gabriel Chamber of Commerce presented the “Rock Solid Award” to Dennis Chiappetta of Athens Services.